The week started off with some poor weather, rain and chilly winds. This was a good opportunity to try to piece together the best walk around Ferntree and The Springs to take in the various interesting and historic sights. This sort of walk can often be done when walks further up the mountain are likely to be uncomfortable or inadvisable due to the weather. 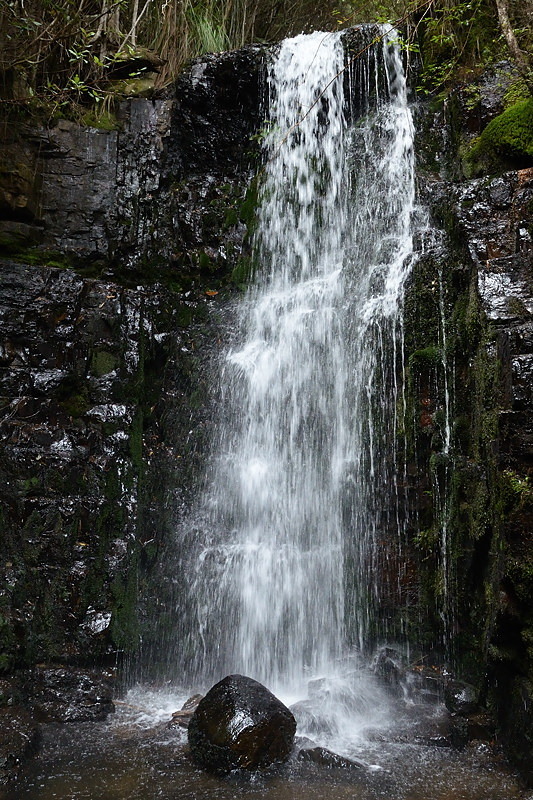 I have provided a detailed description (PDF) of a walk that takes in O'Gradys Falls, the Octopus Tree, Sphinx Rock, The Springs, Rocky Whelans Cave, Silver Falls and other items of interest, and minimises backtracking and climbing hills twice. My current plan is to put up a website with about 15 to 20 Mount Wellington walks, including a few you can't find a guide to elsewhere. This will be one of them. Feel free to print out the PDF and take the walk if you wish. The Mount Wellington Recreation Map is strongly recommended for use with this walk, and others.